For the record, I believe the best holding period for real estate is forever. By not selling, real estate owners ride the unstoppable inflation wave and never have to pay any onerous commissions and long term capital gains tax. But forever is a long time. 10 years ago, I had the mindset of buying as many investment properties as possible in order to generate enough rental income to never have to work a day job again. I was enamored with using other people’s money to buy a real asset that tended to rise in value over time. Further, I loved receiving a steady rental income stream that was used to pay down the money I borrowed from the bank. To capture 100% of economic benefits with only a 20% down payment felt too good to be true, so I pressed as hard as I could. Today, I no longer have the same tolerance for dealing with tenants and maintenance issues. Funny how our attitudes change as we age. Don’t believe for one second your attitudes about work, life, and money won’t change either. After a tremendous run up in property prices, I’ve noticed more people starting to inquire when to sell. As for your primary residence, please try to hold on for as long as possible. If you are a renter, this post will give you a good idea of the seller’s mindset when it’s your turn to finally buy. 1) When you have a major life event. There are some key life events that warrant the re-evaluation of owning investment properties: a new family member, a death in the family, a terrible accident that requires extra care, an unwanted layoff, or a job relocation to name a few. Major life events may require more of your time or money. If you’re unable to work, some life events may necessitate that you keep your rental property for semi-passive income. 2)When you have greater sources of passive income. Besides rental income, there’s dividend income, bond income, REIT income, real estate crowdfunding income, P2P income, CD income, and royalty income. It’s important to have a diversified passive income stream because you never know which asset class may get pounded and which asset class will flourish. For your review, I’ve conveniently ranked the best sources of passive income in the chart below. With an activity score of 6 (10 being the best with the least amount of activity required), rental property is the passive income stream that requires the most amount of activity. This is fine if you compare rental income to day job income (activity score 1). But if you have other sources of passive income that generate just as much or more, then real estate becomes less optimal. In my case, I never anticipated my online business to grow to multiple times my rental property net income. Just my severance negotiation book sales alone generate more passive income than my $1,000,000 Pacific Heights 2/2 condo rental with zero work required. Online income is far superior to rental income once it gets going due to no maintenance, no property tax, no tenants to deal with, and unlimited scale. 3) When your cap rate is below the risk free rate of return. Think of a cap rate as your net rental yield. Cap rate can be calculated as Net Operating Income / Value Of Property. NOI is calculated by subtracting all expenses from gross rental income. If the cap rate is below what you can earn in a risk-free 10-year Treasury bond doing nothing, you should consider selling because you’re not being adequately compensated for the risk you are taking. My house’s gross rental income is ~$100,000 a year. Its NOI is roughly $75,000. My cap rate on my purchase price of $1,525,000 is therefore 4.93%. Not bad, given it’s ~2.6% higher than the risk free rate of return. However, my cap rate on the current market value is only about 2.7%, a level that’s very close to the 10-year bond yield. If I were to spend $9,000 a year on a property manager, which is what I think is required to find a premium renter and keep my sanity, my cap rate falls to only 2.4% based on today’s market price. Now if you add on my $20,000 a year in mortgage interest cost, my net rental yield is even lower. Places like San Francisco, Hong Kong, London, and New York City have had low cap rates for decades because investors have banked on principal appreciation. However, as the world becomes more connected due to technology, I forecast cap rates will increase as property prices eventually come to trade based on long term earnings fundamentals. 4) When you can BURL like a champ. BURL = Buy Utility, Rent Luxury. If you’re able to easily allocate capital towards investment properties that trade at low gross annual rent multiples (high cap rate) to generate tremendous cash flow to pay for a rental property in an amazing location that trades at a high gross annual earnings multiple (low cap rate), then you should go for it. This arbitrage is one of the best lifestyle and money hacks I’ve come up with. BURL = Own in Cleveland, rent in Maui. Even Lebron calls LA his home and plans to leave Cleveland next year. 5) When the joy of owning is less than the joy of doing something else more important. The more money you make, the less joy you will experience collecting rental income. It’s just like eating your fifth slice of apple pie isn’t as enjoyable as your first. Although rental income accounts for roughly 50% of my total passive income, net rental income accounts for less than 10% of my total income. While I’ll always feel proud driving by one of my properties, the concurrent joy I also felt has faded. Instead, I now view the properties as pure income generators, without the nostalgic memories. As soon as you can take emotion out of your investments, you become a better investor. 6) When there is a large supply of property in the pipeline. 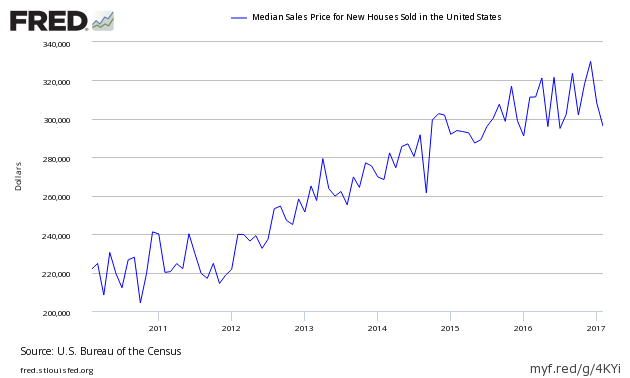 Real estate price performance is determined largely by the growth in jobs, income, and supply. If you see a large pipeline of condos over the next several years, there will inevitably be downside pricing pressure. The key is to sell before the market gets flooded. Pricing pressure is always worse once the condos / new homes come on market because people usually underestimate their impact. 7) When homeowners are targeted for excessive tax hikes. City and State governments love to make homeowners pay for new projects through higher property taxes instead of increasing taxes or fares on patrons. For example, instead of raising train fares in the SF Bay Area, the government decided to make homeowners pay higher property taxes for the next 10 years to fund a $3.5B train bond. I take the train once every six months because it’s hardly on time. Although a logical conclusion would be that higher property taxes will lead to higher rents, it often takes time to pass the extra cost to the tenant. 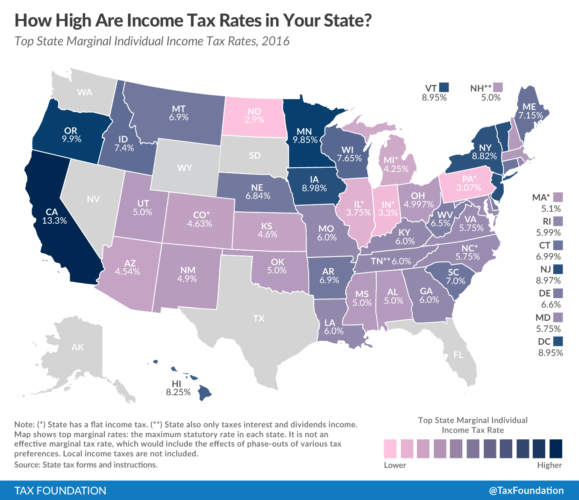 If there appears to be no end in sight for ever higher property taxes (NJ, IL, CA residents in particular), it may be time to do a 1031 exchange to a more tax friendly state. I’m currently paying $21,875 a year in property taxes on a home that has an assessed value of $1,890,000 (= 1.18%). Some would say that’s great because the market value is higher, meaning I should really be paying over $30,000 in property taxes. But in my opinion, at $21,875 a year, the property tax amount is already way too high. $21,875 is more than some people pay in rent a year. In contrast, a house valued at $1,890,000 in Honolulu would only pay an annual property tax bill of $5,670, or roughly 1/4th the amount I pay in San Francisco. Therefore, anybody who wants to geo-arbitrage US property taxes should consider buying a retirement home in Hawaii. Hawaii ranks #50 in terms of property tax percentage by state in America, and it’s ranked #1 in terms of quality of life in my opinion. 8) When real estate commands greater than 50% of your net worth. I don’t recommend anybody have more than 50% of their net worth in one asset class over the long term, especially if debt is used to acquire the asset. As you inch towards financial independence, it’s better to have three or four main asset classes that each count for 25% – 33% of your net worth. It’s important to have asset classes that zig when others zag. Or have assets that generate income while others crumble. During the financial crisis, many Americans got wiped out because 80%+ of their net worth was tied to their primary residence. 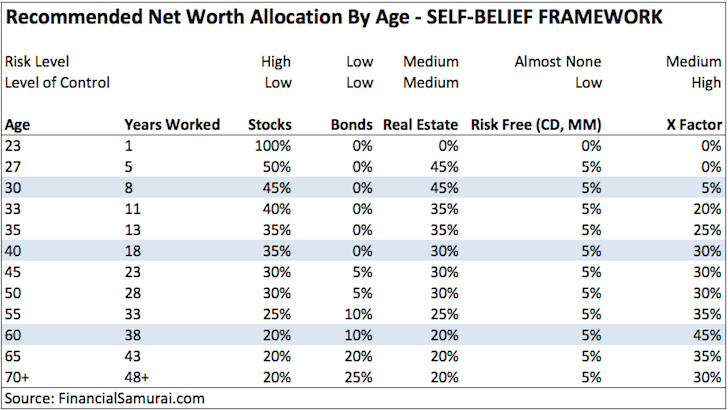 Here’s my favorite net worth allocation chart by age for those with can-do personalities. You can read my other net worth allocation recommendations here. 9) When you begin to exceed the $250K / $500K tax free profit. The government allows you to pay zero capital gains tax on the first $250K in profits for individuals, and the first $500K in profits for married couples for your primary residence. If you’re hitting these tax-free limits, and you’re still eligible for benefits if you’ve lived in your home for two out of the last five years, then you may want to consider taking the tax-free profits and buying a new place in a cheaper part of the country with potentially more upside. To defer taxes, you can 1031 exchange your investment property by buying another investment property of greater value within 180 days. You’ll first have to contact a 1031 exchange company to handle the exchange. It’ll cost you about $1,000 – $2,000 for the optionality of doing such a transaction. If you can’t find an investment property you like in 180 days, then you’ll eat the $1,000 – $2,000 setup cost. 10) When you’ve found a better use for the proceeds. If you feel you have a high chance of making a greater return on a different investment with less risk, locking in your gains may be a good idea. 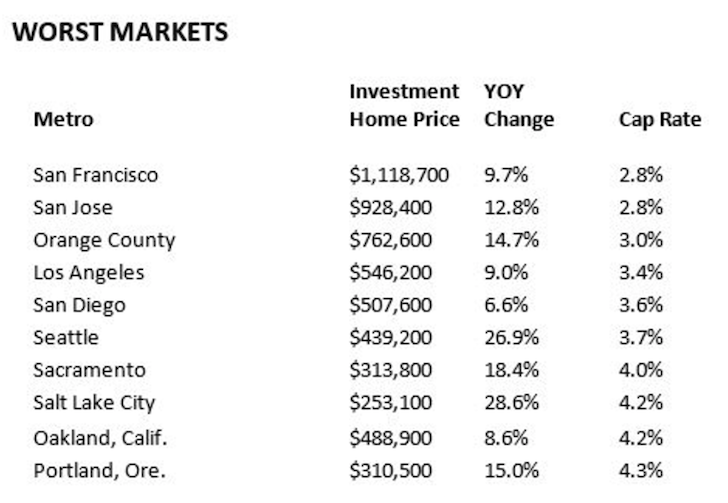 For example, after a 60% gain in SF since 2012, I’m thinking it’s a good idea to sell and redeploy the capital in heartland real estate where valuations are much lower. By doing this, my property portfolio will become more diversified versus having three properties in SF and one property in Lake Tahoe. Even 3% – 4% tax free yielding municipal bonds might appreciate faster than San Francisco real estate if the market flattens or declines. 11) When commission rates become less egregious. The selling commission rate remains stubbornly high at 5% (2.5% to listing agent, 2.5% to sellers agent aka buyer’s agent). At least the rate has come down from 6% ten years ago. It doesn’t make sense to pay the buyer’s agent a 2.5% fee when the agent is trying to get the best deal possible from you for his client! The irony is that if commission rates were lower, I would have probably sold one of my properties in 2012, right before the massive surge. There’s so much opportunity for other companies to gain market share by undercutting the traditional competition. The problem is, many realtors will steer their clients away from listings that don’t pay them a 2.5% commission. 12) When there are signs of a commercial real estate slowdown. 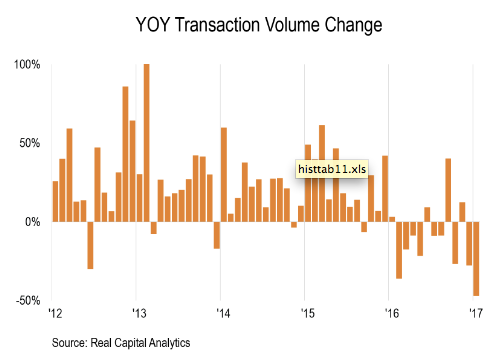 Commercial real estate transactions can be seen as a leading indicator for residential housing growth. After all, companies need to first secure space BEFORE hiring a whole bunch of new people. Transactions and prices began to shows signs of slowing in 2016. Overall office sales fell 7% from 2015, to $140.5 BLN. The slowdown has accelerated in 2017, as commercial property deal volume fell 47% YOY in January, the biggest monthly decline since 2009. 13) When there are major upcoming repairs. Some of the main recurring expenses include a new roof every 10 – 20 years, new paint every 10-20 years, a new HVAC unit every 15-30 years, a new water heater every 10 – 15 years, repairing decks every 20-30 years due to dry rot, and remodeling kitchens and bathrooms every 20-30 years. You may also have to update old electrical wiring to code, which can cost $10,000 – $50,000 to rewire your entire house. In San Francisco, if you own a multi-unit building over a garage, you may have to spend $100,000 – $300,000 to retrofit the building due to a new law that was past several years ago. 14) Before housing legislation turns for the worst. Homeowners currently are allowed to deduct interest paid on as much as $1 million of mortgage debt. Congressional Republicans and White House officials are looking at reducing the limit to $500,000, eliminating state and local income tax deductions, and limiting property tax deductions to $10,000, which would hurt homeowners in high tax and property states like California, New York, and New Jersey the post. If this legislation is implemented, California will be most negatively affected, and nationwide, roughly 1.4 million will be negatively affected by the tune of $3,100 more in property taxes a year according to the Tax Policy Center. 15) If your area is prone to natural disasters. Certain areas are more prone to natural disasters like hurricanes, earthquakes, flooding, and fires. 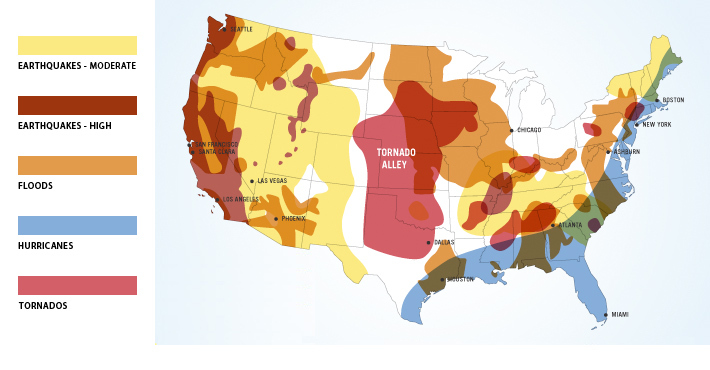 Study your area’s natural disaster history. For example, almost every 5-10 years there is a massive hurricane that wreaks havoc on the gulf coast. In 2017, that hurricane was Harvey that flooded Houston, Texas. In 2012, it was Hurricane Sandy. And in 2005, it was Hurricane Katrina. In the San Francisco Bay Area, massive earthquakes have caused great damage every 30-50 years. If it’s been a while since a natural disaster has struck, if you don’t have natural disaster insurance, or if you can’t afford the deductible or premiums, you may want to offload some risk. Only two out of every 10 homeowners affected by Hurricane Harvey have flood insurance. If you lose your house, only the land value remains. Construction costs are anywhere from $100 – $500/sqft. Owning real estate is like a war of attrition. The longer you can last, the wealthier you will likely be. Some of you will get lucky with amazing tenants that stay for 10+ years. Others will experience situations that will test your faith in humanity. At the end of the day, your investment property’s main purpose is to generate cash flow in as painless a fashion as possible. Once the pain of owning becomes greater than the joy of earning, it’s time to sell. Continuously work towards that income stream that provides the highest return with the least amount of work. I have personally sold one of my San Francisco rentals and reinvested $550,000 of the proceeds in real estate crowdfunding to not only diversify my real estate holdings into cheaper areas with 4X-5X higher cap rates, but to also earn money more passively. With a family to take care of now, I no longer have time to maintain a house and manage tenants. Recently found your site and have been bingeing through your articles, first comment here. Really enjoying your write ups! What are your thoughts regarding commercial real estate investment? I have recently been considering laying off the residential market and pursuing investment in commercial. RE: selling and buying investment property in the same year to avoid capital gains tax. Does the actual calendar date of sale of the first property have to before date of purchase of second property? Our closing dates are such that we may have to purchase the new property a couple month before we can sell the old one …. The best article and analysis I have ever read on when to pull the trigger and sell a rental property. Bookmarked this article for sure!!! I found this article very interesting and useful. Thanks for sharing good knowledge and information. We’ve been in REI for 40+ years & obviously have the majority of our wealth invested in a wide range of properties. There were a few years of negative cash flow & many long tedious hours of blood & sweat equity, but we survived. We did concentrate on paying down any financing so eventually everything we owned was free & clear & we have not had any debt for just as many years. We can still buy properties up here in upstate NY that return 20-30% & we still do (short term) hard money financing for a select group of fellow investors @ 12-15%. I certainly regret many of those we sold but it usually opened us up to more lucrative deals. Over the years we were advised to load the proverbial IRA/401(k)’s etc for the tax deduction. But not having the foresight to chose AMZ, APPL etc it has never achieved the ongoing returns we have achieved with REI. Admittedly I was fortunate to be shown & appreciated the W-2 vs Passive Income tax consequences/advantages at an early age. Several years ago my ‘consultant’ BIL got the ‘As seen on TV real estate bug’ & subjected us to an intensive 2 hour fact finding ‘interview’. He then informed us (complete with a written report) that we were doing it (REI) all wrong. Sadly last week he informed us that due to some bad investments (none are REI) he’ll need to work at least until he’s 70. (In fact many of my old “you’ll never make money in REI” colleagues are still waiting to afford full retirement). I retired in ’98 (at 49) & all our kids own their own homes (that we either built or completely rehabbed & hold their notes) & they all have several investment properties & none of them have student loans. (My son did marry a student loan, but that was quickly dispensed of). There were MANY times that sweat equity exhaustion clicked in & had it’s toll on our marriage, but we made it, can laugh about it NOW & we did it at an early age. I think too many people miss another simple time to sell, which is, if the property has appreciated substantially resulting in your equity being substantially larger than your profits. This is similar to the argument made in the article of “when the cap rate is below the risk free rate of return”, but not exactly the same. For example, let’s say I initially purchase a house in an area with a great price to rent ratio for $60k ($12k down and $4k to close) and put in $14k for the rehab then the house earns me $6k per year in profit. That is 20% cash on cash return and $26k in equity in the house. It looks like a great deal and an investment you’d want to hold for a long time. However, if you get lucky and the property appreciates 10% per year over the next five years you then have roughly $80k in equity in the house. Assuming you can get 8% from the S&P 500 would you rather have $6k per year being a landlord or $6.4k per year investing passively in the S&P? I suppose you could argue that any place that has posted 10% annual increases in price would be worth staying in, or that the rents would likely have gone up as well, increasing your profits, and that’s probably true, but it doesn’t diminish my overall point which is that if you buy in a place that is initially has a high rent to price ratio but over time prices outpace rent you’re likely sitting on a lot of equity that may be worth reinvesting it in something else. Perhaps in other areas that still have high rent to price ratios, or perhaps in other investments. Of course you could refinance to pull the equity out, but that could dramatically reduce your cash flow on the house or cause it to go negative or expose you to interest rate risk. I currently own a duplex that’s operating at a positive cash flow every month. Now, the lot is zoned for multiple units, meaning I can build extra units on this property (a total of 6). I’m just trying to better understand this from a conceptual framework, but would it be more advantageous for me to pay down the principal on this mortgage by making extra payments from my job as well as diverting the cash flow to the principal. That way, the sooner I can pay off the mortgage, the quicker I will get to ensuring that the rents that I’ll collect will purely be profit. Where individuals refinance their mortgages to access their equity to make a down payment for another property. I guess the question I really have is why wouldn’t it make more sense to just pay down one property as quickly as possible so that you can say that whatever rents you get after paying down the entire principal will go directly into your pocket. I feel like when I read these stories of people having a monthly cash flow of $40-$50,000, they own 40-50 properties that cash flow $1,000/year each and it seems like that takes a lot of time to perform this strategy versus the one I mentioned. Super insightful article, thanks for putting the time in to crafting this. I’m early on in my path towards FI and still considering when/how to make RE investing part of the plan. Definitely agree with your point in (3). This also applies to property in most of Australia I believe (my homeland!). Looking forward to fundamentals based pricing in that market for sure! Some really helpful ideas here from other readers as well, in particular the VNQ. Keep up the great discussions all! I’m meeting with my realtor to look into selling 3 of my rentals tomorrow. Prices seem unrealistically high to me so I may test the waters. I’d use the profits to pay off my personal home mortgage, I’d then get a line of credit so I could continue to invest, hopefully purchasing high value property. Every buyer needs to be a seller at some point! Thanks for sharing! What is the gross annual rent you can get if you sell? Thanks so much for this timely post, Sam. I find your articles helpful in general but this one really came at an important time. It is definitely helping tip the scales towards selling. And my plan is also to allign more towards passive income. The next 1.5 years are going to be building my future to the fullest! I own a lot of rental property in the SF Bay Area and also Manhattan, its over 50% of my portfolio. I’m wondering whether to continue down this path (I’m addicted to acquiring and improving real estate) or just sell or 1031 exchange everythjng and lead a more simple life with my family, it’s a hard call. Thank you for your article and giving me another option just than buy and hold forever. This is a great post and one that I plan to keep bookmarked. Currently, have 3 rentals and can’t complain about returns. They are not even close to breaking #8 and personally don’t plan for that to be the case. The other one that hit home was change in family situation. We have baby #2 coming in October so things will change (for better) for sure. 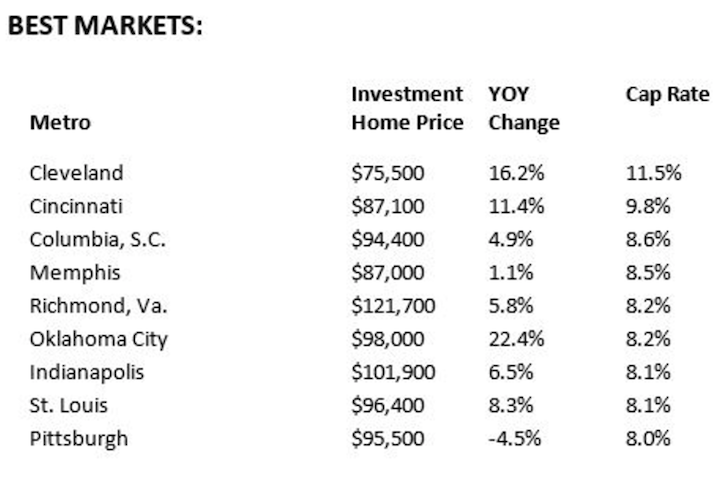 The thing about some of the “best markets” on that list is that the population of some of those cities is rapidly declining… making for a terrible market situation over time… just by the basic laws of supply and demand. For example, Cleveland might have the highest cap rates, but it also has been losing population since the 1950’s. According to Wikipedia, the population of the City of Cleveland was 914,808 in 1950. In 2016 it was estimated to be just 398,265… LESS THAN HALF! If the inventory of homes is not decreasing but the population is, you can bet that vacancy rates are going to continue to rise. Find a market that is steadily growing but still offers good cap rates. I personally like Indianapolis :) Just something to pay attention to…. Owning forever can definitely cause some pains. Life changes. Markets change. Risk tolerance for 20 year old should be different from risk tolerance for a 40 year old. I’ll be in the market for a tiny condo in the next 1-2 years. Won’t count as an asset for me. Plan is to keep it for 20. I’ll be in my 50s then and will likely desire a new type of living. May be the time I head to Indonesia for a spell. Those are all great points. I am thinking about selling in about 1-2 years or renting my current primary residence out when we move, I have to run the numbers again but am leaning towards selling- one other thing is that if it’s an investment condo, there are costs of up keep to pay for, such as huge assessments. Condos don’t last forever unlike land. With a young child now I doubt I’ll have the time to deal with tenants in the future. My husband sold his condo as he also doesn’t like to deal with tenants and would prefer investing in the stock market. Hawaii would be awesome to live in- it’s one of my husband’s dream to live there, except its a bit difficult since we are Canadian and don’t have US citizenship. I agree with #2, when other passive income generates more than your property investment its best to not deal with the headaches of home maintenance, paying property taxes, issues with the tenant and worrying about finding a potential tenant when the previous one moves out. ‘BURL = Own in Cleveland, rent in Maui. Even Lebron calls LA his home and plans to leave Cleveland next year.’ As a warrior fan myself since the late 80s, it doesn’t matter whether he stays in Cleveland or goes to LA, his team will not overtake the warriors as long as the core four stay intact. Correct me if I am wrong, but when selling in order to qualify for the 500k tax free gain (married) you must be living in the property (primary residence) for 2 out of the last 5 years. Otherwise you’ll pay long term capital gains tax rates for anything over the cost basis. Honestly with how dismal the cap rates are in California I don’t understand why landlords wouldn’t just buy shares of Vanguards reit index VNQ. It has over a 4% dividend and requires no work. That’s exactly what I’ve opted for. I have a decent % of my total portfolio allocated to RE (beyond my home which I own outright) and it’s 100% VNQ. I may play around with some Realty Shares with a sliver of this in my next quarterly investment/rebalancing. Thanks for this post. I’ve been thinking about selling, but it’s not quite the right time yet. The gains outweigh the pain right now. Our tenants are great and that’s one huge piece of it. There are a ton of rentals coming and I have no idea how that will effect the rental rate. These new places are expensive so shouldn’t that raise the rental price? Anyway, I’m planning to sell some properties in the next few years. I’ll keep this post bookmarked. Good point on the expensive rentals perhaps raising rental prices. If the new expensive rental is close to your existing rental (within several blocks), and they all get soaked up, chances are that your rental may see an uptick in rent. But you’ve got to try and make the qualities somewhat similar with some upgrades, otherwise, there won’t be much price pull b/c these new rental renter at a higher price point are different than old rental renters. It depends on how big your rental discount is and various factors. Eventually, the supply of new rentals will overwhelm the market and cause prices to flatline or decline. This is largely what will happen more so than bringing your rental asking price up, assuming you aren’t too far away from market. I had #1, and it was big enough to offset the rest. I took a great job overseas, and being 12 hours ahead made the prospect of being a landlord not very appealing. Esp since I could cash out some nice gains tax free. 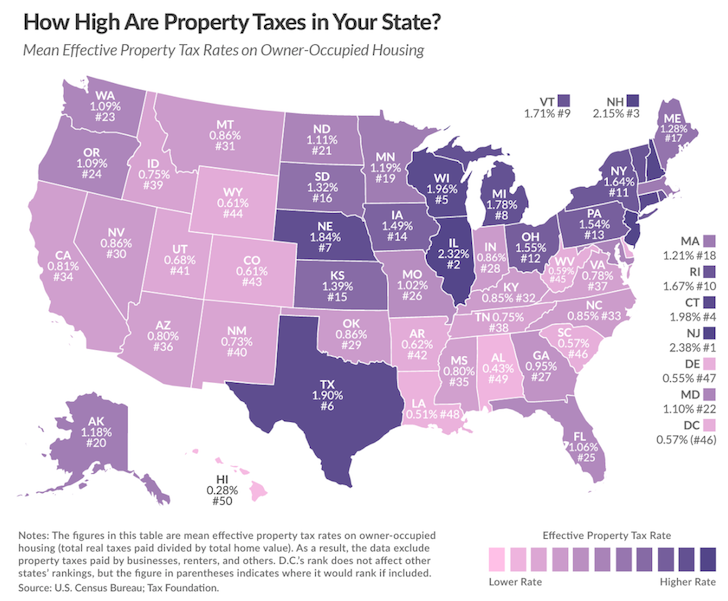 The property tax rate in NJ and IL is pretty brutal. When your property tax rate on the assessed value is higher than the 10 year risk free rate, it’s time to cut bait and seek out another location. In Thailand the property tax rate is 0% for each year of holding but when you sell you get hit on the selling price of the property (that is partially offset depending on the holding time) as personal income tax (using the same tables but separate from your other income) regardless of whether it’s a gain or a loss. That alone drives a drop in volumes in the secondary market as most would prefer to hold and rent vs sell and take the hit. Incentives drive behavior. Best you stick to real estate and not sports. Damn I love my Warriors! I may or may not partially own one of the largest sports blogs on the internet. I may or may not know the GM of a certain championship team. My sources say Lebron is fed up with Dan Gilbert and will 99% not return to the Cavs after the 2017/2018 season. Be well-rounded for the win! BURL baby. IMHO, the most common way a person thinks of having financial independence is via the route of rental properties. Stocks are unpredictable (even then these rental properties dreamers invest the max in 401Ks, have 529s, using dollar cost averaging), and X-factor like taking a website with million viewers is not everyone’s cup of green tea. Again, IMHO, striving for rental properties has an intangible benefit of FORCING one to save as much they can. It generates discipline to save, which is the precursor to any financial freedom paths. When one has debt, they do get up at 6 AM to work. Thats why this RE is the path most taken, after one feels that Dividend/Growth/Income stocks/bonds have had their share. In realistic terms, someone making $200K+ with 2 kids and a dog, work 50-60 hours a week. Articles like invest in 401K etc bores them. They automatically invest max in 401Ks, 529s, additional brokerage account. After this, what options are they left with other than RE, hence most common. I agree with you here. Me and my fiancée have a combined income of $300k in HCOL coastal city. It’s a good problem to have, and I think RE is the next logical step. My only gripe is that it’s still a long and steady kind of investment choice. I am approaching 30 and would like something with more risk. It might be starting a business but how large of a business isn’t something I’ve thought about. We’re in the same situation (income, coastal city), although about 7 years older than you. If you’re thinking about having children, keep liquidity in mind. I have commented about this on other articles here on FS, but I have been shocked at the costs of having children. Things are a bit better now that 1 is in public elementary school, but for a while, preschool / daycare was running us over $50k per year alone. Add on food, activities, extra plane tickets when traveling, college savings, etc. My advice to all of my friends and coworkers in similar situations is to save as much as you can pre-kids, and stay as liquid as possible. If this doesn’t apply to you, or if you have free child care through a family member, then obviously ignore it. Wow, $50,000 a year is a lot! Do you mind breaking down the budget? Daycare is like $1,000 – $3,000 a month, and pre-school is $10,000 – $20,000? I agree, we can easily let ourselves spend a lot of money on our kids b/c we love them so much and just want the best. Sure. This is in Tysons Corner, VA (which I’m sure you know well). So, the base fees totaled $47,888 annually. But, on top of that there were field trip fees, fundraisers, teacher holiday gifts, teacher appreciation dinners, sports fees, swimming, computer class fees, an optional science program, extra fees for foreign language instruction, etc. Soccer was $145 per 8 week season, and I think they offered 3 or 4 seasons per year. And yes, there were late fees if you got stuck in traffic on the way to pick your kid up ($25 per 15 minutes, enforced at 1 minute late). All of these additional fees were discretionary / avoidable, but the optional stuff was (of course) very popular with the kids, where they brought in outside vendors or contracted with local health clubs to offer swimming lessons. If your kid didn’t do the activity, then they were stuck hanging out in the classroom while the other kids got to go do something fun. We contributed the suggested amount to all the fundraisers / recognition gifts because we felt it was the right thing to do, and were really pleased with most of the teachers our kids got. This also doesn’t account that you’re providing all diapers, formula/breastmilk, wipes, etc. One thing I didn’t mention is that the quality of teachers was very high, and some very wealthy parents even hired a few away as private nannies to their children! When my wife toured facilities when our first child was about 15 months old (and we moved, lost our nanny, and my wife returned to work full time), she cried after visiting the first half-dozen. One look at the one that we settled on and she was sold, so I didn’t bother arguing with her about the price. That said, it was not the most expensive; at least a few were 5-10% more expensive. Places like Georgetown will be even higher (friends there pay $2400 per month for daycare at Bright Horizons). Wow, that really does add up. Thanks for the details! I guess b/c my wife and I don’t go to work, we can at least save on the monthly pre-school costs. I went to McLean High School, Go Highlanders! Free tuition, then went to William & Mary for $2,800/year in tuition back in 1995-1999. Still not too expensive now. I know this article is about a 1 1/2 old now but I just discovered this article with our own rental scenario. This morning is also my introduction to Financial Samurai so forgive me for the tardiness. A quick response is to Reisen’s comment. My wife and I are almost in identical situation. Similar in age, similar combined income, we happen to live in Falls Church, Va and also have two small children.. We choose to go the Aupair route which now with a second child has our total childcare expenses (including additional food for live in) at almost 1/2 of what daycare or Nanny. As previously mentioned I found this article perfect for our situation. We currently have a rental condo (my first home) that has about 100k in equity but because of Condo and association fees are considering a 1031 Exchange on either a larger Townhouse rental in local NOVA area or a vacation property that we would look to generate rental income from. It would also provide a place we can go to 1/2 dozen or so times throughout the year. After reading this article I will be looking into Real Estate Crowdfunding, but is there anything else we should be considering with each of those options decision? Every post is up to date and relevant. Welcome to FS! Having been a landlord for about four years now, I had my ups and downs when dealing tenants. It’s great when your rental property is running smoothly and you do very little work to collect the rent cheques. When bad things happened you sometimes question if owning a rental property is still the right choice for you. My advice for aspiring landlords is to be prepared for bad tenants. Eventually, you will get one if you own a property long enough. To make things easier, I think that finding a partner that’s not your spouse can help a lot. You can share the work, profit and have company when you need to work on your property. I could never understand as to why folks invest in Class C or lower properties: The kind with crime, lower income, and tenants generally mad at the world. Evictions, courts, repairs. Yes, Cash flow is the best ROI, but its the another extreme of the spectrum of being a landlord. Class B properties are considered BURL. Even here, I think only the young (35 and under) are involved i.e. folks buying $40K condo with $3K down kinds. Please note that in the cheaper RE markets of US, with highest net yield (or cap rate), such properties sell for $40-$120K, and rent for $400-$1200 pm. Fine. But not everyone is even interested in dealing with the work for $400 a month on a $40K property? Isn’t your time more valuable? Now coming to Class A, unless bought at the right time (2009-2012), they do not have acceptable cap rate. A lot of noise is on internet because folks who did buy in the aftermath of financial crisis, think they are the masters of RE investing. No, its just timing that worked in your favor in past. In conclusion, I somewhat agree with Sam. If you are buying RE for long term, one day you’d also reach a point where you cannot handle the spikes of tension in this supposedly passive income stream. Yup, they come in spikes, not a smooth graph, and when you have 2 kids in MS or HS – you and your life are not the same. I have given this a lot of thought, and recently passed on a condo in Denver downtown because price to rent just didnt make sense. Ended up investing in Fundrise Income eREIT to start with yesterday, with a 10.5% expected return. Much higher than heartland’s cap rate. It has been great to have discovered this site. So much to learn. Love your use of metrics as numbers don’t lie and they really help in decision making. In regard to #3, might I suggest that you clarify that it’s not so much the property value that should be used but rather the equity amount? Property value is fine to use if there’s no mortgage but if someone has a property that’s underwater or has very little equity then they are better off just holding on if the NOI is at least positive because it’s not like they could sell the property and have any or enough money to invest in 10-year bonds to produce the same dollar returns. For instance, if property was underwater and NOI was $6,000 per year then the cap rate is essentially 6,000 %! Pretty awesome that the tenant covers the mortgage and provides $6,000 on top of that! Sam, thanks again because this is yet another article to help me see the bright side of having an underwater property! I’m on the opposite side. I keep thinking I should get in to investment real estate, but my local market has been (in my opinion) flooded with new construction. How would any potential “historic” unit of mine compete with 4 new gorgeous condo high-rise buildings in perfect central, walkable locations. In a town of 60,000 residents, having 830 new units come on the market within a year is not a recipe for my success. This is very comprehensive list of things to consider. Personally I had to sell my investment property because I had some personal events that required my immediate attention and could no longer work on the property. In hindsight, I should have just hired a property manager and not have to deal with it. I wonder if the appreciation in places like London, Hong Kong are sustainable as it is increasingly hard or doesn’t even make sense for young people to take out a mortgage and buy homes. 5, 6 and 7 has me questioning if we should sell. I’m suprised seattle is not on the over build map because to me, they’re over building luxury apartments and condos. There’s now tent cities in Seattle for people who can’t afford to stay anywhere else anymore. I’ll have to calculate our cap rate when I get home tonight but you’ve given us a lot of think about. I’m pro for holding on forever too because of the cost to selling a house but rentals are stressful. We’re in our 20s and I’m already tired. I can’t believe you went on for decades! Seattle does have one of the biggest new construction output. It’s just not in the chart for some reason. It’s in another chart and one of my real estate articles. I wish I had a time machine and could go back to 2012. It’s hard to find good deals anymore. The cap rates where I live are not as bad as where you’re at (reason #2) on the west coast, but they’re slowly drying up. Prices have gone up quite a bit even on the 3 properties I bought just a few years ago. I know you put RE crowdfunding in high regard, but what are your thoughts on turnkey rental properties since some of us might not qualify income wise for something like realtyshares? Can you explain your reasoning? I’m not disagreeing, just trying to understand the statement. Excellent analysis and consideration factor review. My wife and I own a SF condo that we bought in the last downturn and we are looking to do a 1031 exchange to effect a geographical swap into a more affordable region of the country with less property tax risk for cash flow / passive income in early retirement. The run up in SF residential real estate valuations seems unlikely to persist at current levels given the emergence of the bearish signals / concerns that you note + cracks in tech economy + unfunded pension issue as it relates to probability of future tax hikes on property owners + reduction of quality of life in general here in SF Bay Area (I remember when the homeless problem seemed manageable and the 101 traffic was reasonable, vs. now it just feels like LA!) + further outflow of middle class folks as they follow many jobs out of SF Bay Area and perhaps even out of state. The downside risk for 1 high priced rental unit income would appear to be higher than for equivalent rental income sourced from multiple, significantly lower priced rental units and so would rather assume that risk profile instead going forward….keep up the excellent write-ups from a long time reader! It’d be nice to find a platform similar to Realty Shares that allows you to invest 1031 exchange money and receive the flow through tax benefits of owning real estate as a partner. I’ve seen this on private transactions (you can 1031 as a TIC and let another managing partner do all the work), but not in a more publicly available program. I think your comparison of passive income streams is spot on, but would just add that owning tangible real estate is more tax efficient than most other passive investments (obviously not more favorable than muni bonds, though). Can you tell me where the data regarding the best/worst markets come from? Great summary. The qualifier ‘unwanted’, in the list of life events (‘an unwanted layoff’) is a great distinction. Financial Samurai’s ‘How To Engineer Your Layoff‘ is a great blueprint for anyone who desires to leave a job while maximizing the financial (and other) benefits for both yourself and employer. I love that book! We bought in November and I wonder if the market will fizzle soon. Either way we are committed to 2-4 years and hopefully the market will ripe rise rise. Great points about commercial real estate. I will have to check out our local market and see what is happening. Great post, and very applicable for rental owners right now. It’s been something on my mind quite a bit lately. I’ve purchased two 4-unit buildings in the Portland, OR area in the last 4 years. I’m in shock and awe about how quickly prices are going up. I get a couple thousand dollars in net rental income at the prices I purchased at, but if I were to sell today, there’s absolutely no way the new investor would be net positive with a 25% down payment at today’s prices. I understand the appreciation bet, but how long will serious investors really lose money on a property every month AND deal with tenant headaches? If I could sell tax free and comission free, I’d sell in a heartbeat. I’d also like to 1031 into a heartland apartment building, but I wonder if all that would be worth the hassle of out of state investing. Thanks for sharing your insights and your continued evolution on the idea of investment property ownership. These are good points to consider when one is either thinking about getting into or out of investment property. What is your ideal asset allocation based on the rankings of best passive income streams? I love articles like this. Great job breaking it down, Sam. 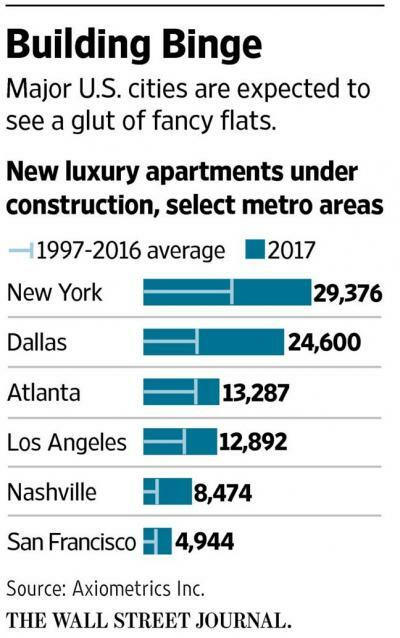 In the Raleigh, NC metro area I am seeing a lot of cases where investing in real estate just doesn’t make sense anymore for cash flow purposes. Many are now investing for capital appreciation or in areas slated for lots of development with the hopes that it will increase their property values. I can’t say which strategy is better, but as we all know banking on appreciation is the riskier move. It’s a tough market for real estate investors as most properties here that would make suitable investments have multiple offers on them. I just sold one of my rental properties, as prices had gone up enough that I felt comfortable unloading one or two. Student condos, nonetheless. I bought a 4 bed/4 bath in December 2016 for $115k (private sale) and now I could list it for $140K. Not bad considering in the past 8 months it has been rented out for ~$1,700/month. Not going to sell it though, as the cash flow on that one still makes sense. If they continue to go up past the $160K/$170K mark I would consider it though. Of course Raleigh is a much different market than SF but we’re experiencing a TON of growth here. I’m at the point where I believe the best holding period is forever. We’ll see how life changes and my perspective changes in the future. On item #7 about property taxes, one thing to consider is that some states have Homestead Exemptions so tax burden on investment/rental properties will be higher. I’ve personally looked at some out of state investments where there is a Homestead Exemption for primary residence owners, and it’s definitely a factor to consider. Not the deciding factor, of course, but at least something to include in the analysis. We have yet to dive into real estate investing (it is on our radar as a possible investment in the future), but I think you have outlined an excellent list of things to consider before purchasing a property (or when deciding to keep a property). I have heard many talk about the Cap Rate and 1% rule, but I like that you include lifestyle factors (#4- BURL) and emotional/preference factors (#5- joy found elsewhere) in your considerations (along with the more obvious market concerns). Great list of things to consider, not only about when to sell an investment property but also about when to buy one. Excessive tax hikes, the availability of more passive income streams, etc. are important to look at when buying as well as when selling. I particularly like the comment around commercial real estate. We’ve been talking about the decline in commercial real estate for a while now, and many think it’s the next bubble to pop. I don’t think it will have quite the effect of the housing bubble, but it is something to look out for, particularly with the rise of sites that are allowing ordinary investors to get into the space. What do you see as the next good place to put the proceeds if/when you do sell? I own two renovated investments properties (outright in 12 months time) worth about ~$1m here, ~400k in shares, and a home outright worth ~900k here in Australia. One renter has been in one of the properties for 14 years while the other is almost 4 years. They pay their rent on time and keep me up to date about my investment properties so I can keep them well maintained… But I’m getting this strange feeling as I get older (almost 40) about whether I should continue investing so actively in real estate when there are less intensive and less hassle free ways to make income. I don’t intend to start a family but wonder if the mental and emotional energy of real estate is still worth it any more… Is the opportunity cost worth it? Like you; I’m wondering if it worth selling down real estate to diversify into less intensive yet higher yielding investment options… I guess it’s a good problem to have. There is no free lunch. It is a misnomer that there is a true hands-free passive investment vehicle. The most passive is putting money in the bank and your net return after adjusting for inflation is negative. While the risk of the bank defaulting is very low and yet it is still there. Couldn’t agree more Sam! Especially with #8. I was a little overzealous myself and purchased some rental real estate over the last five years. I put full personal recourse debt on the properties, and since I’m not a huge fan of carry large amounts of debt, I have thought about paying some of those off. However, that would lead to a big jump in the relative value of real estate in relative to my net worth to a point where I’m no longer comfortable. The nice thing is I’ve bought well and the cycle has worked in my favor. Plus, even with a property manager in place, managing the properties is not seamless. Frankly, I have to deal more with managing the manager than I ever thought I would. Not nearly as passive as anticipated. These are all great reasons. As I was reading your post, I was thinking if I were in these situations, my interest in rental property might change too. I’m interested in rental property and would like to try it at least once in my life. Landlord horror stories are scary, but I will never know unless I do it. One of my biggest fears is not to try everything I want to do before I die one day. So, what ever happened with your rental property you were thinking of selling? Did you make a decision yet? Wow this is a great list. We don’t own rentals yet, but do plan to own quite a few. As the less finance-minded of the two of us, this is something that I am happy to have for my peace of mind. A list of reasons that we should sell, should the need arise. I sometimes need more of a push for investing, and these details and numbers help me see the big picture.